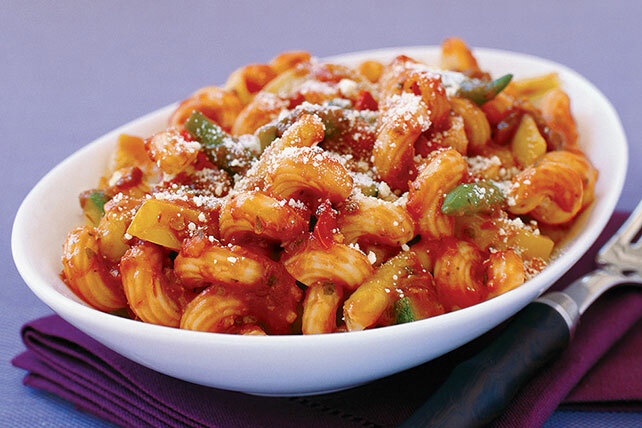 This BOCA pasta dinner is one of our favorite types of HEALTHY LIVING recipe—quick! It's ready to eat in just 20 minutes. Meanwhile, cook sauce, crumbles and vegetables in saucepan on medium heat 15 min. or until crumbles are cooked through (160ºF), stirring occasionally. Drain pasta; place on platter. Top with sauce and cheese. For a change of pace, try preparing this dish with different flavors of pasta sauce, such as mushroom, onion and garlic, or tomato basil.